Anther is a Michigan smasher who mains Pikachu in Melee, Brawl, and Project M.
Anther entered his first Super Smash Bros. Melee tournament on February 24th, 2007, and was an active tournament participant for some time. Though only infamously known in Melee for having a uniquely fast and flashy playstyle with Pikachu, he quickly moved up the tournament rankings in Michigan and became one of the top 8 in Michigan's competitive smash scene by 2008. At his first national tournament, Pound 2, he only barely made it to the second round of pools, in which he lost 0-8 to names such as PC Chris, Wife, Chinesah, Korn, Linguini, and Joe Bushman. Seven months later when Anther entered Pound 3 he caused an upset by making it to bracket using mainly Pikachu and placing 25th out of 224 (He also used Falco and Ice Climbers, though didn't win any matches with them). He was also able to make it into doubles brackets with his partner Shaeden, a Falco/Fox main, and placed 17th. Soon afterwards, Anther became a very tough contender in Michigan's competitive scene until Super Smash Bros. Brawl was released. Starting off strong by placing 2nd behind Mikey Lenetia at his first official Brawl tournament, Anther soon became the dominant force in the midwest from May 2008 until near May 2009, winning nearly every tournament he entered, and placing first in the Midwest Circuit for Singles and Doubles, and also winning several large tournaments in the Chicago area. During this time he made over $10,000 USD, which he largely used to fund college. Even after that, he has been able to win games against top players like Mew2King. Anther quit playing smash competitively early in 2010 to better pursue his career as a programmer. Shortly after getting married in August 2013, his interest in smash was reawakened by Project M, and he has been consistently attending Brawl and Melee tournaments ever since. 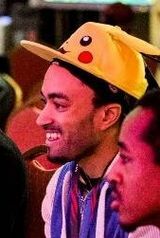 Anther is widely considered to be the best Pikachu in Project M, and has had great results in Project M tournaments, taking sets off of notable smashers such as Malachi, Frozen, N0ne, and Hero of Time. Additionally, he is the creator and developer of Anther's Ladder, a matchmaking and ranking site for Project M, Melee, Brawl and Smash 64 netplay, as well as Super Smash Bros. for Nintendo 3DS,Super Smash Bros. for Wii U and Ultimate online play, which he launched in March 2014. Summit 2015 August 15th-16th, 2015 3rd 4th Yata! This page was last edited on January 22, 2019, at 07:35.